Riu Palace Punta Cana is located in the Riu Resorts complex, along with Riu Palace Bavaro, Riu Palace Macao, Riu Bambu and Riu Naiboa. The group of resorts offer lots of activities like table tennis, gymnastics, water polo, volleyball, windsurfing, sailing, kayaking, and bodyboarding. 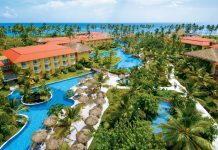 Guests of Riu Palace Punta Cana will love the 24-hour all-inclusive program, which means that snacks, drinks, and room service are available at any time of day — or night. 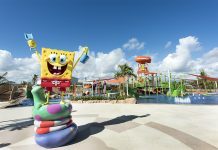 For regular meals, there’s a variety of buffet restaurants, poolside grills, and specialty restaurants serving Japanese, Italian, and Brazilian cuisine. The resort has a pool with swim-up bar and hot tub, and a playground for kids. 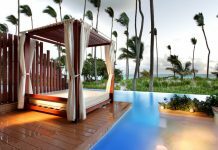 Guests can use the spa at Riu Palace Bavaro, although spa services are additional. There are 612 guest rooms at the resort, all with minibars, balconies, and liquor dispensers. 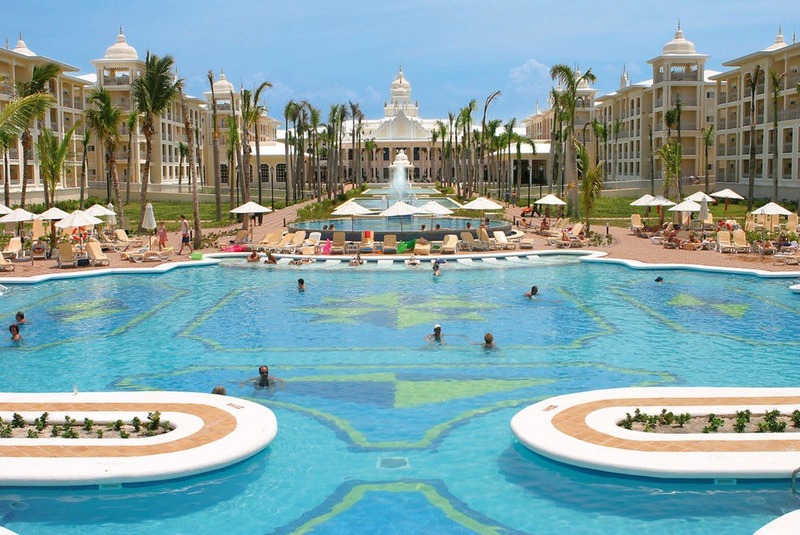 Visit Riu Palace Punta Cana’s website for more information.